Baglamukhi Bhakt Mandaar mantra is most powerful mantra for money, prosperity, wealth and success in life. It is said that if a sadhak complete this mantra sadhana under the guidance of a guru after taking initiation ( mantra diksha ) then he never face any money related problem in his entire life and he becomes more prosper and wealthy day by date. This mantra not only help people who are under debt but it also provid positive energy. Once you start chanting this mantra you will be more energetic and you will see a lot of enthusiasm in your life. People who have bad effect of planets due to placement in negative houses like 6th, 8th and 12th they also receive very positive vibrations and the negativity start reducing as soon as u proceed further in mantra japam. Why only baglamukhi mantra for money? This baglamukhi mantra sadhana for money is most powerful. It is said that if a sadhak complete this sadhana under the guidance of a guru then he never face any money problem in his entire life. 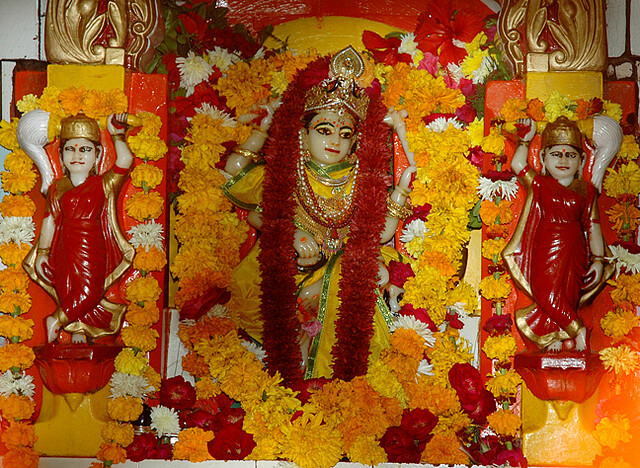 There are so many benefits of baglamukhi mantra sadhana for money.